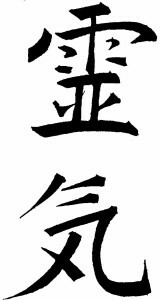 REIKI is a Japanese technique of relaxation and stress reduction which promotes healing. It treats the whole body; the physical, the emotional, the mind and the spirit. After a session we feel the beneficial effects including relaxation, peace, security, harmony and well-being. A REIKI session is given “laying by hands” in different areas of the body (front and back). The patient is fulled clothes. It lasts between 60-90 minutes. It is mostly silent with healing music. REIKI uses the UNIVERSAL ENERGY channeled through the practitioner to the recipient. The channeling helps to clean toxins, clean used energy and to get rid of blockages in the body and mind. During a session we can experience sensations of warmth, cold, tingling, thirst and often insight or revelation. Spending the hour with Elisabeth is not only relaxing, but restorative and transformative as well. I entered an inner journey feeling safe, loved, and free to explore as things came forward. Elisabeth helped clarify things I had been struggling with and I left feeling elevated and energized. Elisabeth is highly empathetic gifted shaman and energy worker. As spiritual counselor and the founder of Soul Expansion, I have met many Reiki practitioners through the years, but there is something more to Elisabeth. Her gift and skill as a Reiki healer is complimented by a Loving, compassionate soul that has found its purpose. On Tuesday April 12, 2011 I called Elisabeth to arrange a Reiki healing session as I was in extreme pain from hip injury which was causing sciatica pain all the way down my leg. I could barely move and was unable to move from sitting to standing without considerable pain. Elisabeth was unable to meet to treat me directly but instead offered to do a distance healing session. She instructed me to lay down for 20/30 minutes at 4pm later that day when she was available. I did so and found that 10 minutes into the session I fell into a deep and peaceful sleep.i awakened 30 minutes sensing that the session was complete. I was very relaxed and noticed that some of the pain had lessened, and I proceeded to go on with my day. As the evening came I noticed even more of a decrease in pain. That night I slept comfortable with none of the pain I had the night before when I attempted to roll over. When I got out of bed in the morning I was astounded to find that all the pain down the leg was gone. What remained was some hip joint soreness, which disappeared completely within three days. I would consider distance Reiki with Elisabeth in the future with no question. I found it to be just as effective as receiving the healing in person. I am most appreciative for the gift that Elisabeth appears to possess.